"Fashion Revolution is not just a hashtag. It is hundreds of thousands of people who are taking action to fight for human rights." Over 80 people showed up at this years Fashion Revolution meeting in Berlin to get involved with the organisation of the Catwalk Flash Mob at Alexanderplatz. Last year I didn’t see near as many volunteers, how do you explain the exponential growth? Yes, we are growing each year! I am very excited to see more and more people engaging. Moreover the online engagement is growing out of its shoes with more people organizing Fashion Revolution events on their own or show up to support the events we organise as the fff - future fashion forward, the association behind Fashion Revolution in Germany. 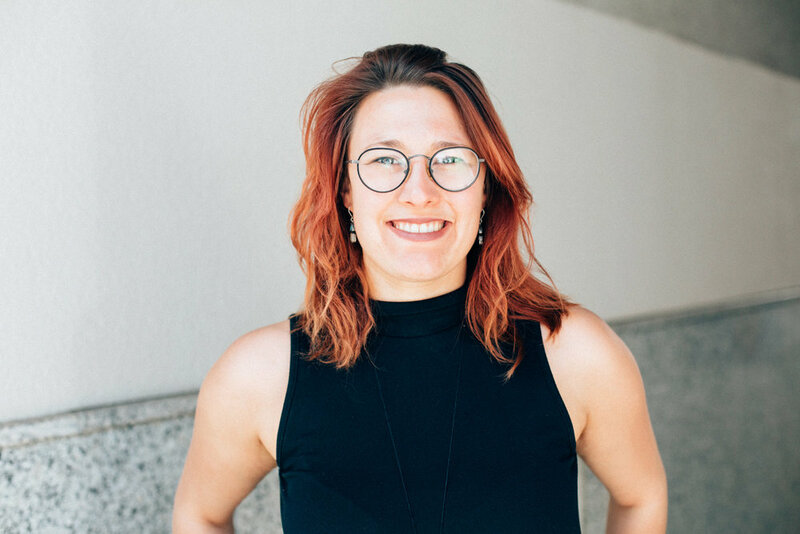 While the main coordination of Fashion Revolution in Germany is still based in Berlin, we have been able to structure Fashion Revolution all over Germany through our city ambassadors. This year we had events in 20 cities across Germany. After four years with Fashion Revolution, it is now the greatest joy for me, to see people getting together, spreading the vision and developing it greatly for their own cities, towns and even small villages. Carry Somers & Orsola de Castro founded Fashion Revolution in 2013 in the UK, how did it make it’s way over to Berlin? Orsola worked together with Carina Bischof in London, where Carina also met Arianna Nicoletti and Luise Barsch. Together they founded the upcycling Label Aluc and went back to Germany. Carina was working in the same office as Max Gilgenmann and Magdalena Schaffrin who organize the Ethical Fashion Show in and Greenshowroom, so when Orsola was approached by Carina to build up Fashion Revolution Germany there were already a lot of projects and ideas which were being worked on together. One year later Carina approached me in regard to support Fashion Revolution with the social media part, and then fff was founded as the German association. This enabled us to run more projects besides Fashion Revolution Day and Week, to push projects for a more sustainable fashion market forward all year long. Can anyone join the team? Yes, anyone can join Fashion Revolution! The easiest and still most successful way is turning clothes inside out asking the label #whomademyclothes. ,On our website in the Take Action Downloads you can find a variety of other things to join the movement. In Germany we offer everyone, who runs a Fashion Revolution event, to become an editor for the Social Media channels, and we grow together. Moreover a lot of people simply use the Free Download section and support the Fashion Revolution without contacting us. We try to collect everything we see by checking hashtags and tagging. If you have any further inquiries you can always contact us vie e-mail at info@future.fashion. How do you organise Fashion Revolution globally and in Germany? Fashion Revolution is a global campaign in more than 100 countries today, so good communication and organisation is a key element to how we work. Country coordinators of each country are in constant exchange with each other and the global organisation in the U.K. team, mainly coordinated by Heather Knight and Jocelyn Whipple. As country coordinators we spread this input in our country, which in Germany mainly happens through the fff - future fashion forward association. We are then the main funnel for the city coordinators in other German cities. Within the fff team we are trying to coordinate ideas and projects in Germany between what is decided globally. Online we have a team of four to six people running our Social Media channels and Websites. The coordination between them is also done by me. We open these channels during April for people, who run Fashion Revolution events or want to get active as Social Media editors. To sum it up: Social Media editors are in contact with the country coordinator, who is in contact with the fff - future fashion forward association and the city ambassadors, as well as the country coordinator is in contact with more than 100 other country coordinators globally, being coordinated by the global Fashion Revolution Team in the U.K.. Our communication seems complex, but actually it is working very well and very fast. Everyone, who is interested joining us, will find all information on www.future.fashion. Do you see a difference in the motivation behind joining Fashion Revolution in 2014 and now in 2018? Motivation and interest of people grew more on a structural level. 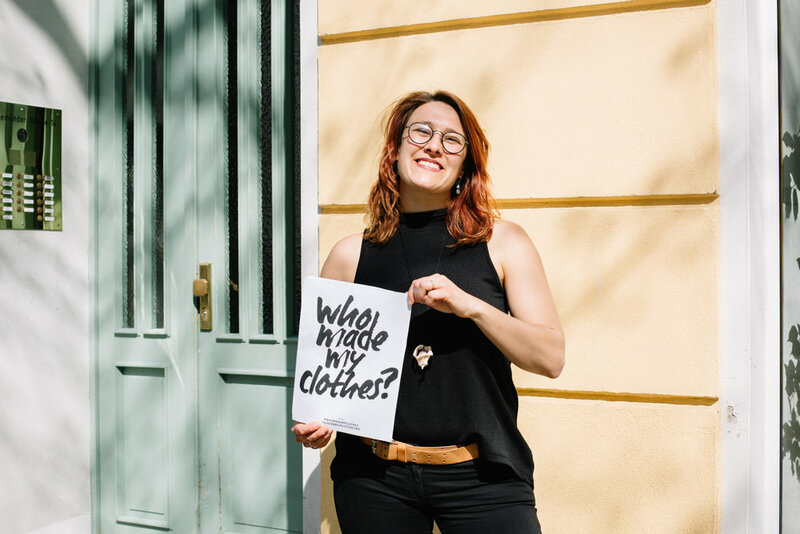 The starting point of Fashion Revolution is always the question #Whomademyclothes, which starts with yourself, your own consumer-behaviour and awareness. With the Garment Worker Diaries and the Fanzine we feed growing interest about structures in complex fashion industries. More people want to know why labor unions get suppressed so often or why garment workers can be blamed on treason, as they have been last year in Bangladesh. Also why access to clean water is not possible for many garment workers, nor food- are questions, that gain growing attention. Also we see interest in alternatives, such as sustainable fibers and materials. Fashion Revolution is not just about how we consume anymore, but to also about acquiring a deeper knowledge around the complex situation for humans, governments and the environment. With this reason we created a Manifesto demanding in 10 points what kind of changes are essential to solve the most crucial problems for the fashion industry at the moment. Do you recall some of the first brands which responded? I remember the answer of Armedangles, who responded with a feature on Viertel / Vor, and I also I really liked the answers from Mey Bodywear and Erlich underwear. But I was actually most impressed by Falke, who even invited Carina to have a look herself. Of course we also have Zara, GAP, H&M responding mostly to Twitter Hashtags. Even more though, it is great when big brands answer more precisely on other platforms, like Bershka did to your question Cherie. Nevertheless it shows the nativity of those brands, thinking they have an ok production while paying around 2€ per hour. That’s not ok.
Bershka does not respond to the question of workers wages. As you can see with in the impact forms from Fashion Revolution, we always have been able to approach big fast fashion brands. For the future I wish to see more #Imade… answers, which show us actual sustainable fashion business concepts to look up to. Now you have been in the Fashion Revolution team since four years, what does this campaign mean to you? Fashion Revolution means a change in your own mindset, asking yourself the question: who made my clothes? This campaign starts with yourself and what you make of it. All of us are Fashion Revolution by the choice we make in our clothing. Economy used to be consumer focused, so it was our demand leading to Fast Fashion. That build this system which controls us now; economic efficiency that leads to cheap prices, sweatshops, human rights violations, child labour, the use of heavy chemicals, a consume of clothes that makes us used to throw away clothes, water pollution, microplastic, no access to clean drinking water, nor food and a lot of environmental harm. Four years with Fashion Revolution made me see the change of many people being aware of this now and that is a great start. Still, to me it is never enough as long as people are kept like slaves, labour unions getting beaten down, people going to prison or losing their lives for raising their voice. We still mute many peoples truth with economically efficient outsourcing and advertising. It is the most horrifying truth to me, to see that globalization means outsourcing cost of work. What costs do we measure against the things we consume? If economy is consumer focused, than it is our focus that makes the demand on the market. It is us, not asking #Whomademyclothes. I want to think economy differently. If we see the trash we produce as a resource, we open up to many possibilities of recycling, upcycling and second hand. It leaves space for creativity and individuality. Thinking in bigger scales and developing an actual interested about what we wear connects us around the globe. Transparency is not the answer, it is the start of thinking differently. And that is what Fashion Revolution is to me. it It is about connecting “them” with “us”. Them, being those suffering from the our western consumer focused economy, being able to be heard and valued for their work. Every single post on social media with #Whomademyslothes touches me deeply, because I know how important this is. Fashion Revolution is not just a hashtag, it is hundreds of thousands of people who are taking action to fight for human rights. What should I do? Ask brands who produce fairly so I help promote them, or should I focus on asking the ones who have not answered? Who should we be putting the spotlight on? Both! There is no limit on using the hashtag #Whomademyclothes. To introduce ethical values on the market is a difficult economical task, but the small sustainable labels show, that it's possible. Some brands master this fantastically, like ECOALF creating an entirely new infrastructure, same as Blue Ben, who has been able to force the industry to do things differently by creating new fibers. These brands are great in answering #Imadeyourclothes and can be learned from, attention, which I think is needed. Nevertheless #Whomademyclothes is a hashtag, which is able to bring a very complex global industry back to a simple question everyone should consider. Especially the ones who have been working in a way that give the impression that they don't care who made the clothes, fibers, yarn, accessories,... but concentrating on selling. As I started with Carina, I want to end with Carina and her quote: Stop Talking, Start Asking … everyone! Special thank you to Nikolett Madai for taking all the event photos, and designing this Fashion Revolution show piece from recycled car parts with a 3D pen. It reads "the story behind your clothes" and the figures represent garment workers. See more of her work here.